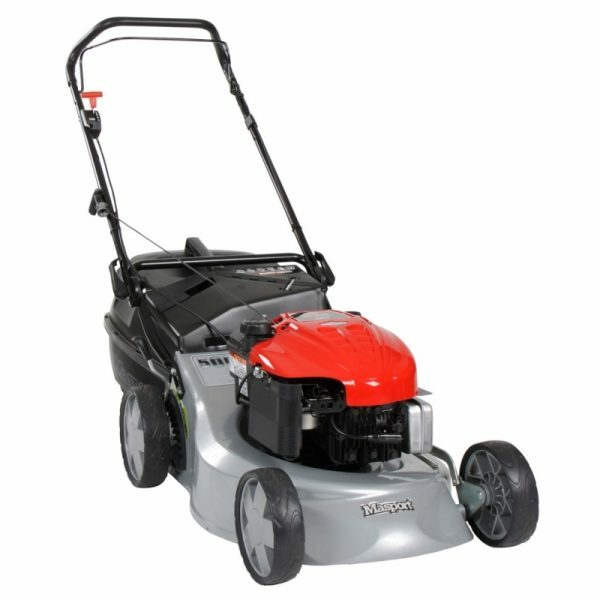 The Masport 500 AL Push Lawn Mower is a premium-quality machine, with a very high-performance 190cc Briggs & Stratton XVS675 engine and an ultra tough aluminium deck, which comes with an unbeatable 15 year warranty for domestic use. As with all Briggs & Stratton power units, this easy starting engine is clean running, fuel efficient and offers exceptional long term reliability. 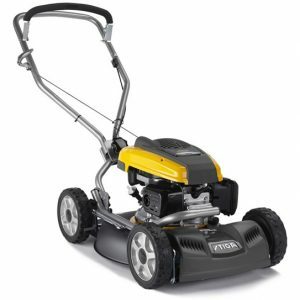 Thanks to its push type design and relatively compact 46cm cutting width, this model is very easy to control and manoeuvre. The offset Mow-Zone cutter deck design makes it easy to trim up against wall and fences. If you need to cut long grass the Masport 500 AL becomes a side-discharge machine thanks to Masport’s clever Smart Chute. 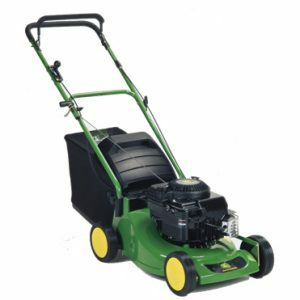 This ejects the grass clippings evenly, with no clumping to the side of the machine. Masport’s Quick-Cut blade allows you to work effectively in damp conditions and protects the engine crankshaft should you hit any solid objects. The cutting height can be adjusted between 10 and 70mm, allowing you to fine tune your finish. 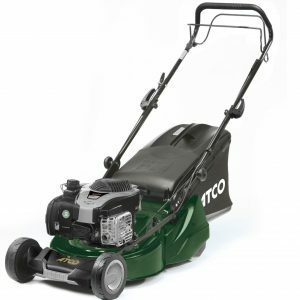 Clippings are collected in a generous 46-litre catcher, which has full-width ventilation for improved air-flow and reduced clogging. This superbly engineered machine also features a new ‘Ergo’ handle, which can be set at the most comfortable height for the operator, and are easy to fold for storage. 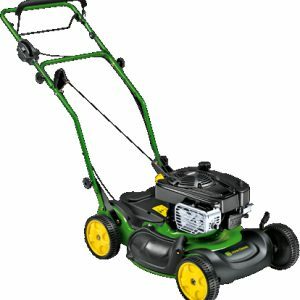 Twin ball bearing wheels maximise longevity and ensure the mower runs smoothly for years to come.